Sterile Hand - Sterile Hand. Vinyl LP. Bleep. 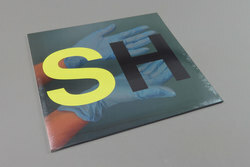 Hard as nails techno/EBM hybrids from Silent Servant operating under the guise of Sterile Hand. We’ve been fans since hearing a DJ set of his that was recorded live at one of the Honey Sound System parties – the guy is talented. This new EP opens with an eerie Spanish vocal cut ‘Personality Test’ that sounds like it was lifted from that Mexican Cassette Culture comp on VOD. Real deal loner synth! The next few tracks veer further into club music territory with steady rhythms and varying tempos. 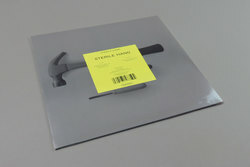 Recommended one if you prefer SS’s wavier moments to his banging techno output.